ScienceDaily reports, 31st January 2019: Endangered species of hammerhead and dogfish are among the sharks being sold as food in the UK, researchers have revealed. 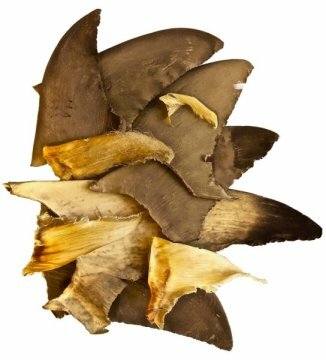 Shark fins examined in the study. Through “DNA barcoding,” the study analysed 78 samples from chip shops and 39 from fishmongers, mostly in southern England, as well as 10 fins from a wholesaler.